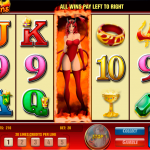 Every second is wicked in the latest video slot game Sinful Spins coming from Amaya. Lately we come across with lots of games that use hell as its inspiration and for some reason we are dragged to them. The lovely Lola will keep you company the whole time and you will love the fact that from time to time she wants to go Wild. The beautiful little devil is the wild symbol and it will stand in for every other symbol to complete a winning line. The only symbol it cannot substitute is the scatter. This symbol is also the key to the free spins round. You need to land the wild on the center reel for which you will receive 3 free spins and the whole center reel will be filled with wilds. The game’s logo is the scatter symbol and at the same time the key to the feature. Every time you land this symbol it will feel the empty space that is left to the reels. Once you fill up all the spaces you will receive 15 free spins and every time you land the scatter the temperature will rise in the thermometer, which means the multiplier will be higher as well. 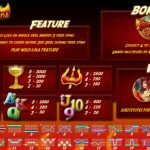 Sinful Spins is a very simple game at first look from Amaya, but once you start playing you will discover that there is more to it. We gave it a shot and it turned out to be one delightful experience. 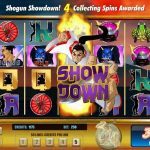 The best part of the game is the anticipation to activate the free spins round, and once you do you will see that it can be very lucrative. We had an awesome experience playing this game and for that reason we feel obliged to recommend it to you too. For an adventure like in the good old times consider playing Siberian Siren a 5 reel slot by Amaya.